Firstly, what actually happened on Thursday the 5th of May, 2011? 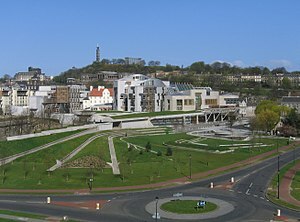 In Scotland, 129 MSPs (Member of the Scottish Parliament) were elected to the Holyrood Parliament. In Wales, 60 AMs (Assembly Members) were elected to the Cardiff Assembly. In Northern Ireland, 108 seats of the Stormont Assembly were under contest. In England, 9,500 seats to local councils, were being elected. Northern Ireland elected 582 councillors in their first local elections for six years. In addition, there was a referendum on our voting system – whether or not to change from First Past The Post (FPTP) to the Alternative Vote system (AV). The Scottish National Party did fantastically well in these elections, gaining an overall majority in Holyrood – they are the first party ever to do so. This feasibly bring their ultimate aim, and major distinction from Labour, into reach – a referendum on total Scottish independence. Alex Salmond, SNP leader and First Minister of Scotland, shouldn’t be too eager – but he is a savvy political player. He knows that voting for the SNP doesn’t necessarily make someone a supporter of Scottish independence – as a general left-wing party, they can offer an alternative to Labour, or an additional anti-Conservative party. But if he campaigns hard over the next few months and years, we could, possibly, just possibly, see a Yes vote for an independent Scotland. Wow. It’s already caused waves in Westminster. David Cameron, Prime Minister, has said he will fight “with every fibre” that he has to keep the United Kingdom united – but it may best if he stays far from the debate. The Tories historically do disastrously in Scotland, and a Tory like Cameron, educated in the best private schools and from a “good” family… he will find it hard to endear himself to the average Scottish SNP voter, and may simple increase animosity to the London-centric United Kingdom of England, Wales and Northern Ireland. Following their historic move in electing Caroline Lucas, head of the Green Party, as their MP last year, the residents of Brighton have handed 23 seats on their city council to the Greens. This makes them the largest party on the council, but still leaves them 5 seats short of an outright majority. They also gained in Norwich – they have 15 city councillors and 7 Norfolk county councillors. This show of support for the Green is good news for the centre-left. They are, effectively, a centre-left party, just with added environmentalist credentials. Even if we are entirely cynical, we can hope that growing support for Green politics will show to the major parties that environmentalism is a vote-winner, not just essential for life on this planet. Well done to the Greens. Part of the less well-publicised result of the election was the drubbing the BNP suffered. Losing the vast majority of their councillors, this was a clear rejection of the racist, nationalist propaganda of the BNP – in Stoke-on-Trent the BNP lost four councillors, the last remaining councillors in the city. Just over a year ago, there were 9 of them. The Lib Dems managed to wrest control of Burnley council by winning two seats, one of them from the BNP. This leaves the BNP with just one councillor on the authority. We have to remember that a large proportion of this is due to the BNP suffering a hemorrhaging of cash and candidates in recent months – both documented by Political Scrapbook. But it is gratifying to see a lowering of far-rightist support. Labour in general did phenomenally well, mostly at the expense of the Liberal Democrats. This is despite them not actually having an identifiable position on… well, anything, really. I couldn’t tell you what Labour today thinks on the economy, law and order, immigration, foreign affairs….anything. Plaid had a disappointing night – they lost heavily to Labour, but not distinctly to the other parties. This shows that support among the centre-left is still strong, but Plaid was unable to distinguish itself from Labour. It’s unfortunate that Wales is the example of Left sectarianism, where parties which are ideologically similar battle each other for votes, instead of their common enemies. Mind you, the Labour-Plaid coalition was unlikely to be struck down even if Labour had made it to their magic 31/60 seats in the Assembly. They only got 30 anyway. I doubt much will change in Wales this parliament. Are the Tories’ futures bright? Finally on the psephology front, centre-lefties can take consolation that the Tories will suffer in the future. Tory-sponsored cuts are yet to have their full effect and if the Liberal Democrats can shift enough of the blame to where it belongs, we could see life becoming very uncomfortable for many Tories – especially when the tuition fees increase comes into effect in 2012. The AV referendum was not a total failure. Several constituencies were convinced of the benefits of AV over FPTP, including Glasgow Kelvin, Lambeth, Cambridge, Camden, Oxford, Islington, Haringey, Southwark, and Edinburgh Central. But despite their support, we have to admit that AV was overwhelmingly rejected by the people of Britain. This is a set-back, but not the death-toll for progressive reform of our electoral system. This is not a rejection of proportional representation, but a rejection of LibDems as coalition scapegoats, of mere AV and of a poorly fought and orchestrated campaign. As I have said in other blogposts, we can still continue to campaign for the adoption of more proportional systems. We have to remember that AV, while I believe it would be better than FPTP, is not the best system – and no one believes it is! George Eaton, New Stateman journalist, did tweet “Those who said “No to AV, Yes to PR” couldn’t look more foolish tonight. Electoral reform dead for a generation.” but I’m still optimistic – we can still try. The main reason is our own – the Liberal Democrats, particularly since their caving-in over tuition fees, have become deeply unpopular. Instead of viewing this referendum objectively, voters figured that either a) anything linked to the Liberal Democrats was against their interests or desires, or perhaps more likely b) the referendum gave them an opportunity to punish Liberal Democrats. Particularly Nick Clegg, the leader, and Deputy Prime Minister. Despite this – the majority of the party still supports Clegg, and the Coalition. We know that we went into this coalition, knowing that we may suffer… but we went in regardless, because it was what was necessary for the country. We thought of country, not party. We have to take time to remind the voters of this, and distinguish ourselves from the Tories. Our trashing in the council elections, in favour of Labour, clearly shows a rejection – not of our centre-left credentials – but a rejection of our rejection of our centre-left credentials. We are being attacked, not for being Liberal Democrats but for being weak, nigh-on Conservatives in the Coalition. We are the Tories’ shield, and we are taking the hits. We HAVE to distinguish ourselves from the Tories – we have to fight our corner on further PR, on House of Lord’s reform, healthcare (something we have seen Clegg tackling this weekend), banking reform, environmentalism and immigration. They also have to find a way to recapture the heart’s of students. We can see this with the example of Chris Huhne – he laid into the Tories in a cabinet meeting this week. His constituency of Eastleigh is one of the few where the Liberal Democrat have gained council seats, blocking Tory take-over attempts. We see that the country wants a strong, independent, centre-left Liberal Democrat party. We have to deliver. That was a pretty epic post for some pretty epic thoughts. If you didn’t read it all, just read this. AV being rejected is good – when reform comes, as it eventually must, it will be sizable. We can now properly campaign for Proportional Representation and Single-Transferable Vote – better systems than AV or FPTP. The Liberal Democrats have been violently shaken awake, and we may now see a true moderating force in the Coalition, pushing forward progressive ideals and values in government on issues like House of Lords reform and healthcare. The Tories must be held accountable to their cuts, and Thatcherite agenda. We have to make that happen. Thursday was a good day for progressives. Some very nice writing and hard work taking place here! Well done! Thank you so much sir! It’s very kind of you to say so. Hey mate, I quite appreciated the insights here- quite a few things that had never occured to me. Just curious what are you thoughts about the phone hacking scandal? Also when are you back in England? Glad you enjoyed it mate – admittedly, trying to put the best face on it, but there was a lot of alternative perspectives that I felt that the main newspapers, bloggers etc missed. Hmm… I’ll confess, I missed a lot of it being in Prague and out of touch with the UK scene. It’s obviously a disgusting and highly illegal act, in the majority of cases, it seems. I’m glad to see the waning of Murdoch’s power, I don’t like monopolies, I was against the BSkyB takeover from the start, and I was always worried of News Int.’s power in the UK scene – look at Scottish elections for proof. However, I’m more worried now about the aftermath… sudden, knee-jerk legislation is always a worry, and that’s never well thought out. Currently sat in Wales, man 😉 Back in Notts late Sept for term, you? FB me sometime. Not sure when exactly I’ll be back in Notts, but it’ll be sometime in September. Definately have to meet up when we go back. I want to hear all about Europe and their crazy customs! Hmm… I’m not certain that’s a good debate to have. I do believe in regulation, to be fair, but that shouldn’t limit freedom of the press – we’re not limiting what they’r publishing, surely, it’s more to do with illegal and immoral methods of obtaining information? That isn’t freedom of the press, in many ways its irrelevant that they’re journalists… I would have thought at least. Or am I missing the point? This is what always happens with high-energy cases – we have knee-jerk reactions, polarised politics and poor-quality legislation. Better to wait a year then allow it to be debated in the House, I would imagine.